Of course you know how to type in the month, date, and year of a receipt, or to choose the correct date by using the drop-down calendar. But did you know that PearBudget has a super-fast shortcut for entering a receipt from the current month? It’s true! Say it happens to be Monday, January 14th, 2013, and I want to enter a receipt from grocery shopping that I did last Friday, the 11th. 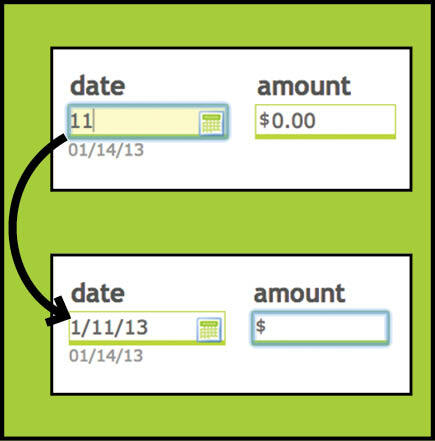 All I need to do is enter the number 11 into the date field, and PearBudget will know that I mean 01/11/13. Hooray for saving time! Now go enter some receipts!